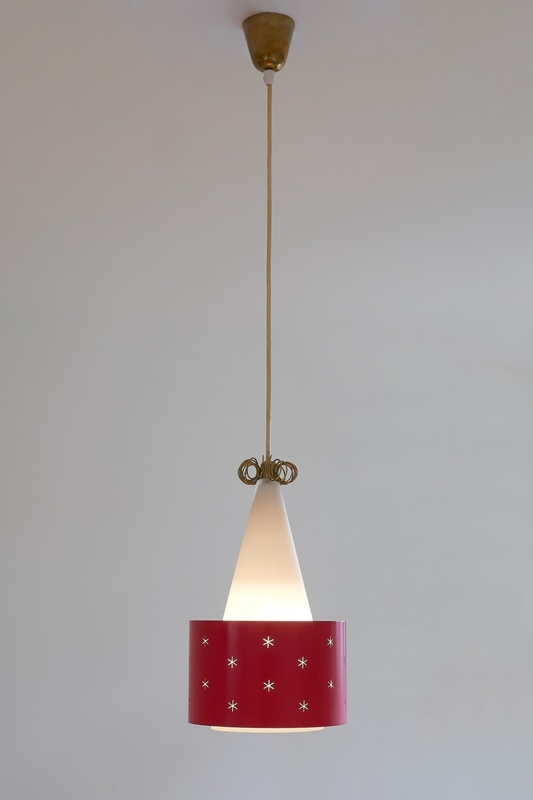 A rare red pendant designed by Paavo Tynell and produced by Idman in 1955. The model number is K2-10/ N-9241. The conical shade is made of a white matte glass, resulting in a soft and diffused light. The red painted metal ring appears to float around the conical shade. The asterisk shaped perforations in the metal ring give the lamp a particularly striking lantern-like effect. The design is completed by a decorative spiralled brass ornament. 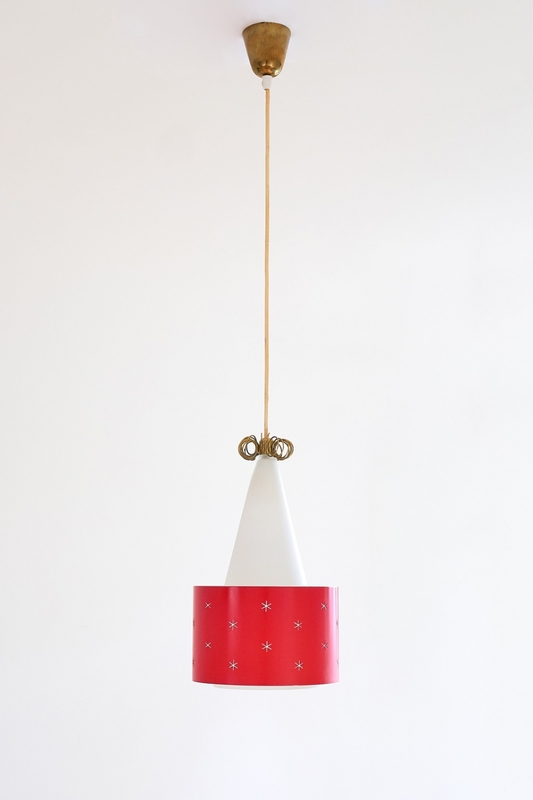 The lamp has a brass ceiling cup and an extendible drop down cable. The lamp is in very good and fully working condition. As can be seen in the last picture, we have a matching blue K2-10 lamp available. Provenance: Private Collection, Tampere, Finland Literature: Idman Oy catalogue 142, unpaginated.